The sports historian who wrote “records are meant to broken” must have had this year’s University of the Fraser Valley Cascades in mind, as the nine teams earned two national bronze medals and three conference silver medals, and four different student-athletes earned national all-star recognition, nine different student-athletes were selected conference all-stars, and two were recognized with conference awards. Three different teams participated in national championship tournaments (men’s basketball, men’s golf, and women’s volleyball) and a fourth team played in the national regional event (women’s basketball). The Cascades were great ambassadors of the university this past year, representing UFV in Charlottetown, Ottawa, Halifax, and Nanaimo. By the end of the 2011/12 university (CIS) and college (CCAA) sports year, the Cascades and UFV were household names, with teams that gained a tremendous amount of respect in their respective sports. The men’s golf team was the first to the podium, earning the Pacwest silver medal in October and narrowly missing the Pacwest title by four strokes. At the CCAA national championship tournament, in PEI, the Cascades earned the national bronze medal with a two-day team score of 613. The Cascades were led by Aaron Pauls of Chilliwack, who finished fourth with a two-day score of 149. Pauls was named an All-Canadian. While the men’s golf team was busy setting the pace for 2011/12, the men’s and women’s basketball and women’s volleyball teams were putting the final touches on their pre seasons, getting ready for the upcoming Canada West and Pacwest regular seasons. What would follow were three trips to national tournaments, conference medals, and between the three programs 20 plus school records broken. The women’s volleyball team had a monster year in the Pacwest conference, recording 20 regular season wins, finishing in second place and holding down the fourth spot in the CCAA top-10 rankings the entire 14-week period of college rankings. Kayla Bruce, a fourth-year middle from Surrey, earned Pacwest first team all-star selection, was Pacwest female volleyball player of the year, was named CCAA All-Canadian and to the CCAA national championship tournament all-star team, and was selected as the Cascades 2012 female athlete of the year. Bruce won every honor possible this year, including the Pacwest female athlete of the year award, as she guided to the Cascades to both the Pacwest silver medal and then a come-from-behind bronze medal win against Humber College (OCAA, in CCAA national championship third-place match). The bronze medal presents the school’s first national women’s volleyball medal. “Kayla took on the responsibility as our floor captain this year. She has a very strong work ethic, and when it comes to training, she works hard and is very consistent in practice. Off the court I challenged our leaders to enforce team rules and basically run the guidelines. Our leaders have great character and Kayla was a large part of the reason of our team’s success this year,” said head coach Dennis Bokenfohr. The Cascades women’s volleyball program earned three regular season all-star selections (Bruce, Jenna Evans of Abbotsford, and Brittany Stewart of Maple Ridge) and Krista Hogewoning of Delta was selected to the Pacwast all-rookie team. Stewart, the team captain, was also chosen as of one of 22 student­athletes throughout the entire CCAA, in all sports, to be recognized as an Academic All-Canadian. At the CCAA national championship tournament, Evans joined Bruce as a tournament all-star. The men’s basketball team started the 2011/12 CIS campaign nationally ranked 7th in the inaugural CIS top-10 poll in November. The Cascades stayed in the CIS top 10 the entire 20-week season, finishing fourth in Canada in the final national ranking in late February. The Cascades finished second in the Pacific Division of Canada West with a 13-5 regular season record and posted an impressive 8-1 conference home record. UFV earned the school’s first home Canada West quarterfinal best two-out-of-three series and hosted the University of Lethbridge Pronghorns, the only team to beat UFV at the Envision Athletic Centre in the regular season. The series lived up to all the hype as Lethbridge stole game one by the exact same score, 87-78, that they beat UFV by in the regular season. That’s when the “green machine” went to work, defeating Lethbridge 74-66, to force a third and final game. In that third game UFV fell behind late and with 13 seconds remaining had an opportunity to tie the game and force overtime. Cue UFV’s first-ever men’s basketball Canada West first team all-star Joel Friesen of Abbotsford. With less than three seconds left Friesen shook off his defender and went for broke, sinking a three-point basket at the buzzer to eliminate Lethbridge and send UFV to their first ever Canada West Final Four. More records would topple in Saskatoon, as UFV defeated Victoria, 63-62, to earn its first trip to the prestigious CIS Final 8 national championship tournament, in Halifax. UFV earned the conference silver medal, falling by one point to the University of Alberta, 73-72, in the championship game. The Cascades came back to Abbotsford with the program’s first-ever Canada West medal. In Halifax, UFV defeated Lakehead Thunderwolves, 83-71, to advance to the CIS Final 4 where they fell to eight-time CIS national champion Carleton Ravens, 83-65, in the semi-final and lost a heart-breaker to St. Francis Xavier X-Men, 89-86, in the national bronze medal game. Kyle Grewal, a fourth-year kinesiology major from Surrey, broke all the UFV Cascades playoff scoring records, scoring 63 points in the three-day tournament, including a 35-point performance against St. Francis Xavier in the bronze medal game. 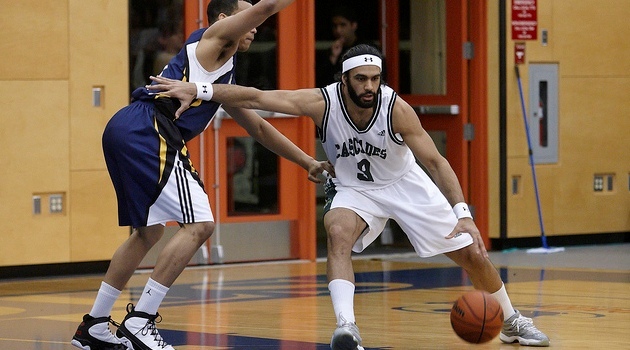 Grewal was selected to the CIS national championship tournament all-star team and chosen the 2012 UFV Cascades male athlete of the year. “A great season for the guys on this basketball team, we will miss Sheldon (Bjorgaard) and Mike (James) who were a big part of our success. But with the rest of the roster returning we hope this experience will help us be even more prepared for the rigors of Canada West conference play. I hope in the back of our team’s minds, is the goal of putting in the hard work to earn a berth to nationals again next season,” said UFV head coach Barnaby Craddock. The women’s basketball team also rewrote their records book and this comes on the heels of their turn-around season a year earlier. Led by Canada West second team all-star Tessa Klassen of Winnipeg, the Cascades posted a 12–6 regular season record, good for second place in the Pacific Division of Canada West. The Cascades were ranked in seven of the 20 weeks in the CIS top ten poll, including finishing the 2011/12 campaign ranked eighth in Canada. UFV earned the program’s first-ever Canada West home quarterfinal playoff series, where they made short work of the University of Calgary Dinos, sweeping two straight by a combined score of 39 points. This marked the second straight year UFV swept the quarterfinal. The Cascades finished fourth at the Canada West Final Four tournament and earned the school’s second straight berth in the CIS women’s basketball regional tournament. Facing the University of Ottawa Gee Gees, UFV battled to the final whistle before losing75-69, ending a great season one win short of a trip to the CIS national championship Final 8 tournament, in Calgary. “We had a successful season building off of last season’s exciting playoff run. Participating in the national tournament for the second consecutive year in addition to being to our second consecutive Canada West final four are huge accomplishments for our young team and will serve us well over the next several years. The team has raised the bar of expectations for next season and we look forward to stepping up to that challenge and competing for a national title. The girls are hungry as ever and we are excited to build on this year’s success,” said UFV head coach Al Tuchscherer. In addition to Klassen’s great leadership and play, Aieisha Luyken of Mission had a breakthrough year, leading UFV in scoring seven times this year and averaging 12.4 points per game. Nicole Wierks of Chilliwack, a third-year science major, was Canada West’s nominee for the Tracey McLeod award, symbolic of perseverance and overcoming career-ending obstacles to continue her CIS basketball career. Wierks has battled a variety of athletic injuries to become one of the most consistent UFV Cascade student-athletes in the school’s six-year affiliation with Canada West and the CIS. She is a model of excellence for her 130 Cascade colleagues. In addition to the men’s golf team finishing third in the fall, the men’s rowing team and the program’s 8+ heavyweight crew earned third place at the 2011 Canadian university rowing championship, in Wellend, Ontario. The Cascades were in 12th position going into the final heat and blew by eight schools to finish third just five seconds behind second place McGill University Redmen. The Cascades men’s and women’s rowing team also excelled in the classroom as well, earning the fourth annual President’s Shield, with a team grade point average of 3.21. The women’s soccer team, started the 2011 season right where they left their record-breaking Canada West championship gold medal and CIS bronze medal season of a year ago. Traveling east to Ottawa and Montreal, UFV would defeat the University of Ottawa Gee Gees, 2-0, and McGill University Martlets, 2-1, tie University of Montreal Carabins, 1-1 and Carleton University Ravens, 1-1, on an impressive seven- day road trip against four of the top CIS women’s soccer programs. While 2011 Canada West regular season saw UFV post 12 team points, the Cascades did miss the post season tournament by six points and settle for a seventh place finish. “It’s been a frustrating regular season, however, if we can learn from our experiences this year we will be better for it in the future,” said head coach Rob Giesbrecht. The men’s soccer team kicked off the 2011 season on the right foot, shutting out their arch rivals Trinity Western University Spartans, 1-0, in Langley, BC. The rest of the Cascades Canada West regular season had some very competitive matches, however they would finish with 5 teams points and in 7th place in the conference. In the spring, the team had a great short season defeating NCAA division two Simon Fraser University, 1-0, and then winning the CIS’s most prestigious spring soccer tournament , the Keg Classic in Victoria. UFV defeated Victoria, the CIS national champions, 1-0, and then defeated TWU, 4-0, to win the classic title. The team’s future is in great hands with Ravi Singh and Colton O’Neill, both of Abbotsford, the 2011 and 2012 UFV Male Rookie of the Year winners. The Cascades have their own scoring machine up front in third-year striker Sasa Plavsic of Coquitlam, who has led UFV in scoring the past two years. The men’s volleyball team are no strangers to the PACWEST post-season tournament and 2011/12 was no different as they qualified for the”extra season” on the final day of the regular season. UFV was led by Aaron Flanagan, Langley, BC who was named a second team PACWEST all-star for a second time. Flanagan was in the top ten in most offensive categories during the 24 match regular season. The 2011/12 athletic season was filled with record-breaking performances, firsts in many categories like team’s most regular season wins, hosting playoffs, personal awards, and with only eight graduating seniors in the entire department of athletics, the future is bright with very talented student-athletes returning to UFV in the fall of 2012. Come out to our September tailgate party, support the basketball teams at next January’s AESC basketball doubleheader and wear your Cascade merchandise as proudly as the student-athletes do all over Abbotsford, Mission and Chilliwack. 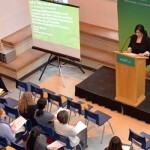 This article is featured in the Spring 2012 issue of UFV Skookum magazine. Pretty component of content. I just stumbled upon your web site and in accession capital to claim that I get actually enjoyed account your weblog posts. Any way I will be subscribing to your augment and even I fulfillment you get right of entry to persistently rapidly.